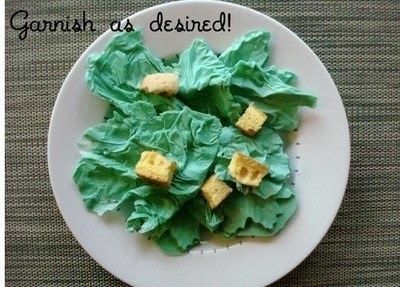 How to make a candy salad! 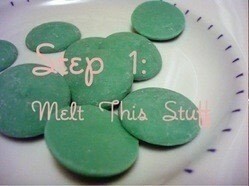 Melt 'em: You may find that one method works better for you than another. We melted them in the microwave, but many swear by the double-boiler method. 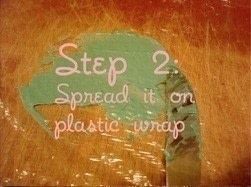 Spread out a long sheet of plastic wrap (12 inches long or so). 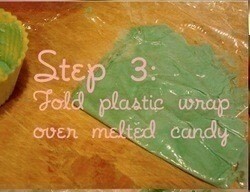 On one half of the plastic wrap, spread a 1/3 inch thick layer of the melted confection. Fold the unused portion of the plastic wrap over the candy, and smooth down to a desired thickness (not too thin or it will break!). Wrinkle the still-warm candy gently with your fingers, to give little wrinkles and ripples like on lettuce leaves. 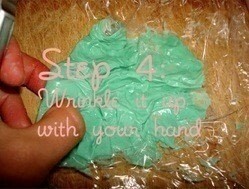 Let cool for 20-30 minutes or until solid. 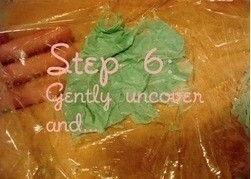 Gently uncover. 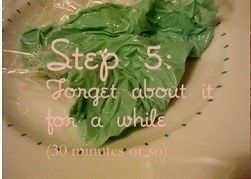 Pieces may break off at the ends, but this is ok--lettuce is abnormally shaped after all! 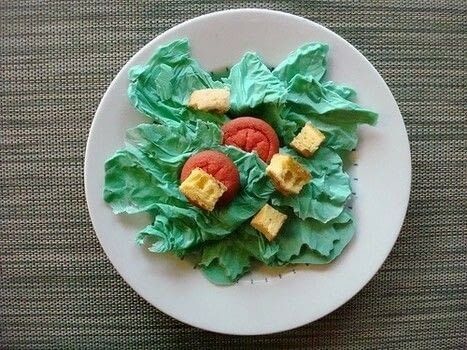 Thats a kids salad right there!! Cool! The cake looks just like croutons!